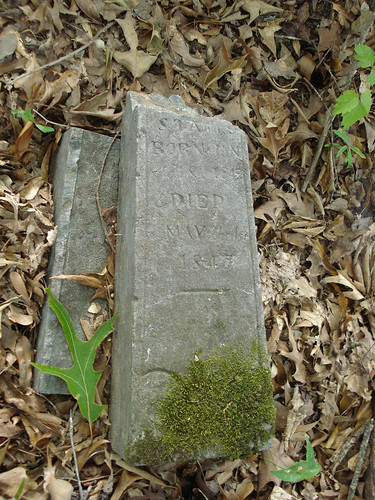 Stamps Cemetery in Chambers County, Alabama is the burial place of several descendants of Britton Stamps. It has fallen into disrepair over the years, and now sits hidden behind a nondescript warehouse. The cemetery is overgrown with trees and the gravestones are scattered around as if they had been carelessly dumped there. In Memory of Edwin R. Stamps, born Sept. 6, 1830, died June 29, 1855. 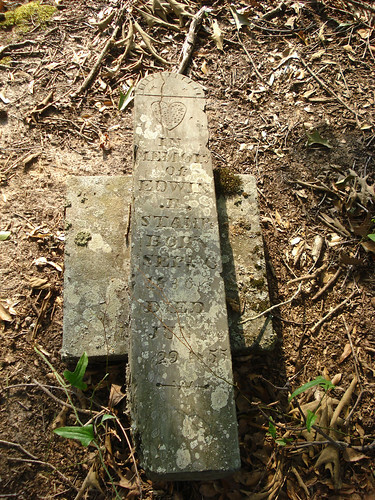 Edwin was the 12th son of Britton Frank Stamps. In Memory of W.J. (William) Stamps, born August 9, 1828, died Oct. 5, 1853. 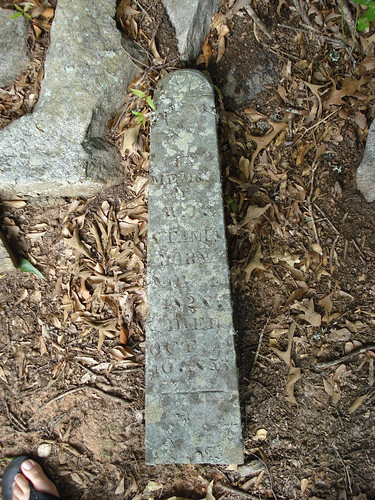 William was the 11th son of Britton Stamps. A. Eliza Stamps, born Jun. 18, 1842, died May 1845. Eliza was Britton Stamps’ 17th child.